A quality accommodation that provides great value for money, Riverbank Cottage is located on the banks of the Scarriff River in Scarriff, County Clare. 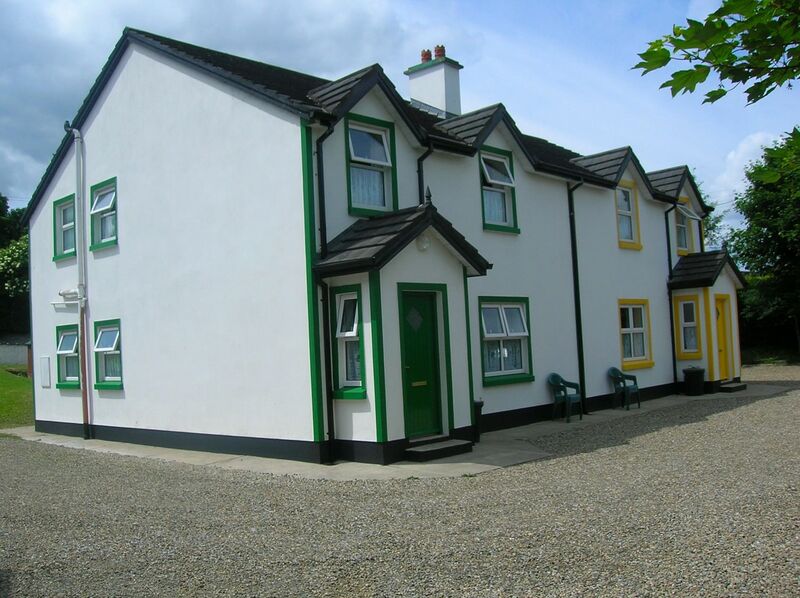 The four-star units boast three bedrooms and come with a shed and bait fridge for anglers.Situated on the banks of the Scarriff River and in the town of Scarriff, County Clare, Riverbank Cottage provides clean, comfortable and spacious accommodation. This family-run business offers great value for money and provides a cosy accommodation for travellers. The four-star units of Riverbank Cottage each contain three bedrooms: one double ensuite and two twin rooms. There is also an open-plan kitchen, dining and living area with open fire and beamed ceiling. Bed linen and towels are provided, and private parking is available. Riverbank Cottage is within easy walking distance of the shops, pubs and restaurants of Scarriff. Further afield, East Clare is a very scenic area beside Lough Derg, the largest lake on the Shannon River. The area is often referred to as an anglers paradise and Riverbank Cottage has a private stretch on the Scarriff River, as well as a shed with bait fridge. Boats can be hired locally. Guests can explore the 170km East Clare Way walking route, which features magnificent scenery. Additionally, there is a local golf club, pitch and putt, pony trekking, and many heritage sites, such as St Cronans Church, which is located in Tuamgraney and is the oldest church still in use in Ireland. From Riverbank Cottage, suggested day trips include the Cliffs of Moher, the Burren and Aillwee Caves. Other places of interest include the Aran Islands, Ennis, Bunratty Castle and Folk Park, Galway City, Connemara and Limerick City.